‘Regular is boring!’ Isn’t so??? 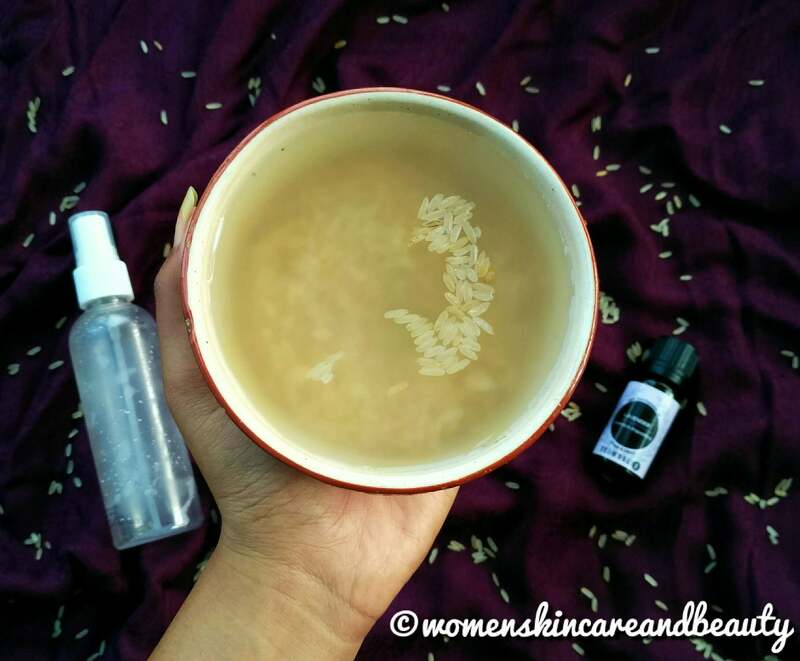 So, as I ran out of my regular toner, a few days back, I decided to give my skin a small break from all the store-bought toners and make a really easy but effective facial toner at home, with an ingredient that is present in every kitchen – RICE! D-I-Y RICE WATER AND LAVENDER TONER! • 1/2 cup of white or brown, good quality rice. • 10-12 drops of Lavender essential oil. 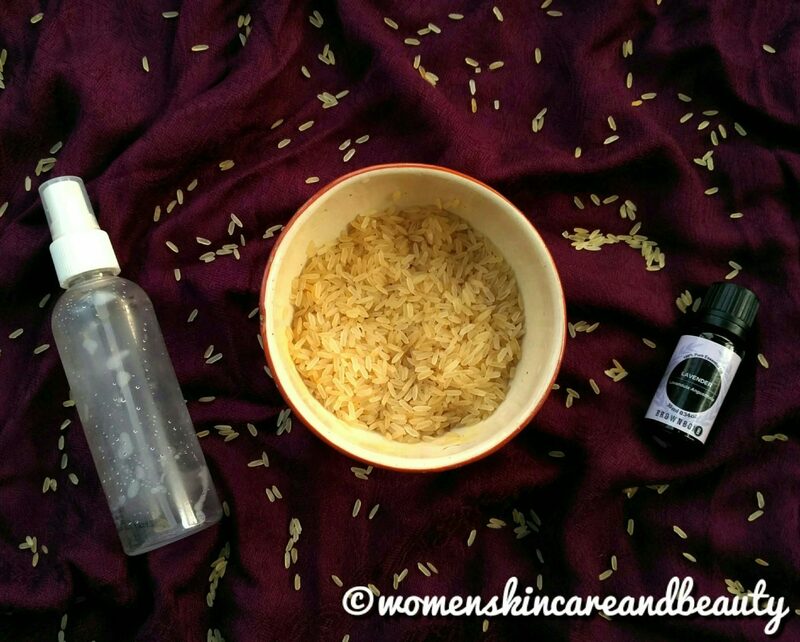 • A few drops of Jojoba oil (Optional), if you have a dry skin! • Lavender essential oil: Lavender essential oil soothes the broken, sunburnt, inflamed skin and being anti-bacterial in nature also fights acne, wrinkles & eczema! 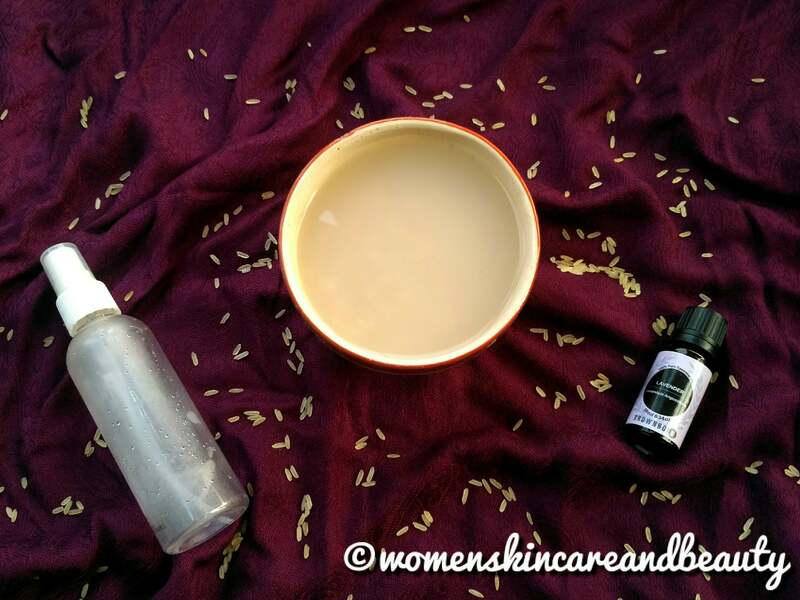 • Rice soaked water: Rice water contains many minerals and vitamins that are essential for a glowing and healthy skin! It has anti-oxidant and anti-inflammatory properties and promotes cell growth, improves blood circulation, heals acne and eczema, tones and soothes the skin! STEP 1 – Take a clean bowl and add 1/2 cup of rice in it. STEP 2 – Add 1-1.5 cups of water into the bowl and stir it. STEP 3 – Let the bowl rest for 15 minutes and meanwhile rinse the spray bottle. STEP 4 – After 15 minutes, strain the rice and keep the rice water aside. STEP 5 – Add 10-12 drops of Lavender essential oil into the spray bottle and pour the rice water over it, into the bottle. If you have a dry skin, you can also add a few drops of Jojoba oil at this point, so that the toner doesn’t leave your skin stretchy! STEP 6 – Close the bottle and shake the contents well! 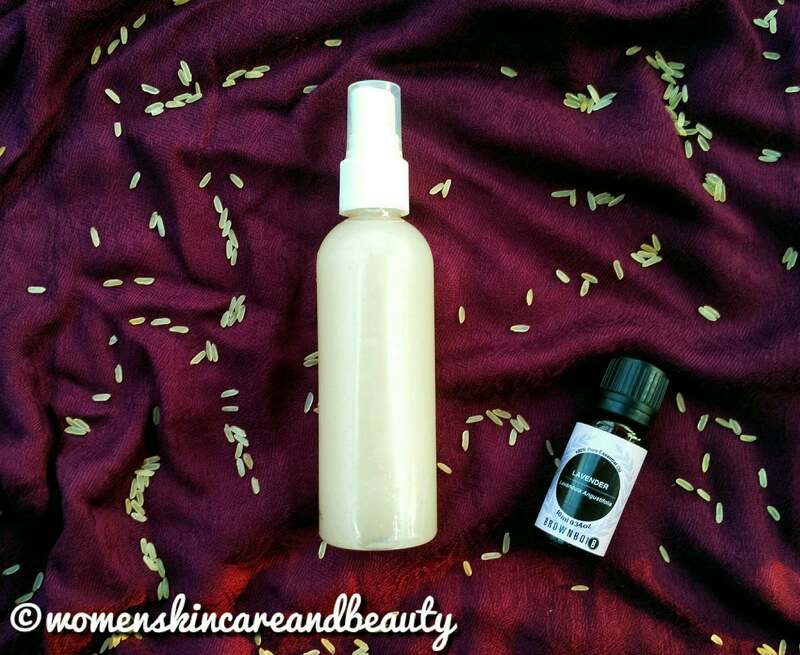 Cleanse your face, pat dry and spray this DIY toner directly on to your face! Normal to dry skinned beauties can add a few drops of Jojoba oil (as mentioned in the above steps) to avoid any stretching of the skin on application! What an amazing and an easy diy, thanks for sharing this one, will surely give it a try! Toners are so important to our skin … this is such an easy diy.. definitely trying this instead of wasting money on toners ..
Will definitely try this!! Nothing better than DIY face toner. I have dry skin so will try with jojoba oil. Wow, this is such a quick and amazing toner recipe. I would love to try this at home and use it every day. I like these amazing homemade and easy stuff that you come up with. Wow never knew these easily avialable products in our kitchen can make such a nice skit care essential. Wow.. That’s really easy to make… Will try this one soon.. 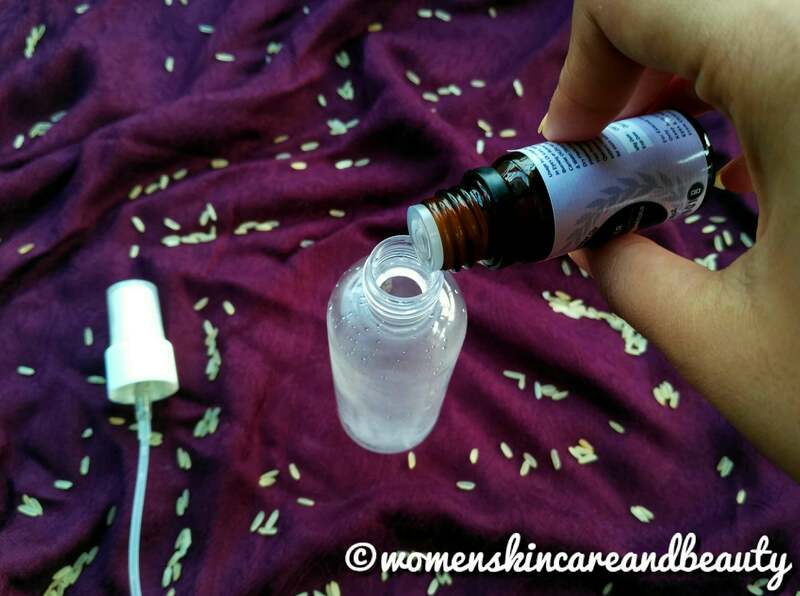 This is such a fabulous diy toner. Rice water is so helpful for skin. I have dry skin so will make sure to add few drops of jojoba oil as u suggested. wow a readymade toner has never worked for me my skin is very sensitive , this is the best thing i read today, thanks for sharing!!! this is a good one! i will try this out as adding the oil will make this of great help to me. 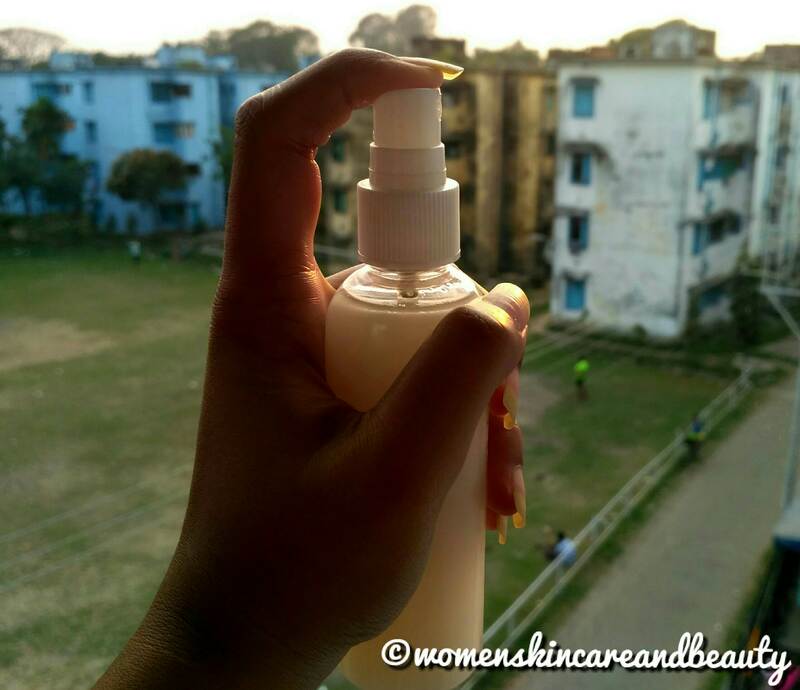 This post is so helpful for sensitive skin and natural too. Wow never imagined rice water would have such incredible qualities. This is a really good write up. Mother nature rules after all. I am gonna prep this coming weekend. Thanks! Glad you found this useful! 🙂 Do try it out! this is fabulous and reallly very easy!!! would love to give this a try! This happens to be your second post which I read and find super helpful. Although I will have to find myself jajoba and lavendar oil but it’s drug store products. Hassel free and cool. I love this diy too.